Like a box of children’s cereal, vaccines, which also target children, have surprises inside. Unfortunately, these surprises are not fun like the ones in the cereal boxes. In his book, Dr. Mary’s Monkey, author Edward Haslam documents connections between the vaccine and biological weapons industries. In 1955, Dr. Jonas Salk developed a polio vaccine, which at the time, was the most anticipated publicized event in the history of medicine. However, Dr. Bernice Eddy tested the vaccine on eighteen monkeys and they all became paralyzed. Eddy tried to warn everyone and stop distribution of the vaccines, but other prominent doctors like Dr. Alton Ochsner assured the public that the vaccine was safe. The vaccine was released to the public, and within days children were killed or crippled from polio in the vaccine. The public was outraged. Dr. Eddy would later discover that the second-generation polio vaccine, developed by Albert Savin, and which the public was sold was safe, was contaminated with cancer viruses (SV40). In fact, an entire generation had been injected with cancer-causing monkey viruses because the vaccine was developed using monkey kidneys. Again, Dr. Eddy blew the whistle and tried to warn the public, but the National Institute of Health crushed her professionally. Viruses are commonly carried by monkeys and may appear as contaminants in cell cultures of their tissues, especially the kidney . . . The discovery of this new virus, the vacuolating agent, represents the detection for the first time of a hitherto “non-detectable” simian virus of monkey renal cultures and raises the important question of the existence of other such viruses . . . . As shown in this report, all 3 types of Sabin’s live poliovirus vaccine, now fed to millions of persons of all ages, were contaminated with vacuolating virus. An interview featuring Dr. Hilleman discussing vaccines tainted with cancer viruses can be seen online. Pages 211-218 of Dr. Mary’s Monkey demonstrate that the rates of skin, lymphoma, prostate, and breast cancer skyrocketed in the forty years after the tainted polio vaccines were given to the public. The SV40 Cancer Foundation provides additional research and information. In fact, it has been reported that polio vaccines are now the leading cause of polio paralyses. During March of 2009, numerous sources including Times of India reported that vaccines contaminated with deadly live H5N1 avian flu virus were distributed to 18 countries in December, 2008 by a lab at an Austrian branch of Baxter. Czech newspapers immediately questioned whether the events were part of a conspiracy to deliberately provoke a pandemic, following up on accusations already made by health officials in other countries. Baxter claimed that pure H5N1 batches were sent by accident. However, since the probability of mixing a live virus biological weapon with vaccine material by accident is virtually impossible, this leaves no other explanation than that the contamination was a deliberate attempt to weaponize the H5N1 virus to its most potent extreme, and distribute it via conventional flu vaccines to the population who would then infect others to a devastating degree as the disease went airborne. The fact that Baxter mixed the deadly H5N1 virus with a mix of H3N2 seasonal flu viruses is the smoking gun. The H5N1 virus on its own has killed hundreds of people, but it is less airborne and more restricted in the ease with which it can spread. However, when combined with seasonal flu viruses (which as everyone knows are super-airborne and easily spread) the effect is a potent, super-airborne, super-deadly biological weapon. Of course, it was later proven that the swine flu pandemic was a hoax; a false flag to terrify the public into accepting dictates from unelected World Health Organization officials with ties to big pharma. The event was likely a test-run for global forced vaccinations under the guise of civil emergency (pandemic), that would actually result in depopulation, injuries and increased profits for big pharma. Nonetheless, California passes a law that allows for children as young as 12 to receive the HPV shot without any parental consent, thus completely removing parents from the important decision of whether or not to receive the death-linked HPV shot. Merck, the manufacturer of Gardasil, is raking in the profits as young boys are now targeted as well as girls. Likewise, GlaxoSmithKline Argentina Laboratories Company was fined 400,000 pesos by Judge Marcelo Aguinsky following a report issued by the National Administration of Medicine, Food and Technology (ANMAT in Spanish) for irregularities during lab vaccine trials conducted between 2007 and 2008 that allegedly killed 14 babies. The toxic effects of the mercury, also known in vaccines as Thimerosal, have been confirmed by many researchers. The vast majority of the flu shots administered in the US still contain Thimerosal, as they come from multi-dose vials that require a preservative in order to prevent contamination. Mercury in any form is poisonous. Autism rates have exploded over the last twenty years. Cases of autism in the U.S. have now increased by over 2,700 per cent since 1991, which is when vaccines for children doubled, and the number of immunizations is only increasing. Just one in 2,500 children were diagnosed with autism before 1991, whereas one in 91 children now have the disease, up from one in 150 just six years ago. Government agencies are engaged in a massive cover-up to prevent the public from discovering the link between autism and vaccines. The medical establishment is also playing dumb as it profits by recommending more and more vaccines. To be clear, abundant evidence demonstrates that vaccines are dangerous and coincide with higher rates of autism. The Thimerosal in many vaccines was replaced with Aluminum, another substance that attacks the brain. The aluminum hydroxide used in many vaccines, including hepatitis A and B (B is given to newborns at birth unless informed parents refuse it), and the Pentacel cocktail for diphtheria, pertussis, tetanus, polio, and meningitis, has been clearly linked to symptoms associated with Parkinson’s, ALS (Lou Gehrig’s disease), and Alzheimer’s. Squalene is also added to many vaccines, which is proven to generate concentrated, unremitting immune responses over long periods of time. A 2000 study published in the American Journal of Pathology demonstrated a single injection of the adjuvant squalene into rats triggered “chronic, immune-mediated joint-specific inflammation,” also known as rheumatoid arthritis. In a 6-2 decision, the Supreme Court voted to protect pharmaceutical companies from liability when their vaccines cause debilitating injuries and death. The high court majority considers vaccines “unavoidably unsafe” and was worried about drug makers being sued and obligated to compensate their vaccine victims. Instead of opting to protect children, the Supreme Court chose to safeguard the financial interests of the multibillion dollar vaccine industry. In a fantastic act of fascism, Congress revoked Americans’ rights to due process by passing the Vaccine Injury Compensation Program. The Vaccine Act became effective October 1, 1988. 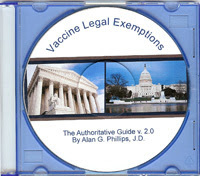 It establishes the Vaccine Program as a no-fault compensation scheme whereby persons allegedly suffering injury or death as a result of the administration of certain compulsory childhood vaccines may petition the federal government for monetary damages… All vaccine claims are managed and adjudicated by the congressionally-created Office of Special Masters, which currently consists of one chief special master and seven associate special masters who are appointed to serve for four year terms. Vaccines are part of the global elite’s depopulation agenda. In Third World countries like Thailand, women describe how they miscarried shortly after taking vaccines when they were eight months pregnant. The vaccines were provided by universities and the United Nations. In January 2010, at the Davos World Economic Forum, Gates announced his foundation would give $10 billion over the next decade to develop and deliver new vaccines to children in the developing world. How could that be a bad thing? Sounds like noble philanthropic work, doesn’t it? Unfortunately, the vaccine industry has been repeatedly caught forcing dangerous (unsafe, untested or proven harmful) vaccines onto Third World populations – vaccines they cannot get rid of in the West. 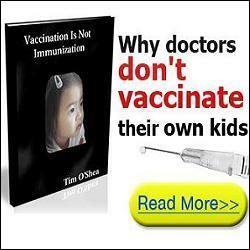 Some organizations have suggested that the true aim of the vaccinations is to make people sicker and even more susceptible to disease and premature death. …acts as a global coordinating body for anti-fertility vaccine R&D in the various working groups and supports research on different approaches, such as anti-sperm and anti-ovum vaccines and vaccines designed to neutralize the biological functions of hCG. The Task Force has succeeded in developing a prototype of an anti-hCG-vaccine. It should be noted that Bill Gates’ father served on the board of Planned Parenthood. The Bill and Melinda Gates Foundation provided the International Planned Parenthood Federation (IPPF) $8.8 million in 2000. Likewise, Planed Parenthood receives financial support from the federal government, many millionaires, corporations and foundations, including the Rockefeller, Ford and Carnegie foundations and billionaire investor Warren Buffet’s foundation. Planned Parenthood performed 332,278 abortions in the United States in 2009. That is about as many as the 333,012 people who lived in the city of Cincinnati, Ohio, in 2009, according to the U.S. Census Bureau. The Rockefeller Foundation and World Health Organization have been working together on “anti-fertility”vaccines since the 1960s. These noble philanthropic elites wouldn’t slip something into your child’s vaccine, would they? Obama’s top science and technology advisor John P. Holdren co-authored a 1977 book in which he advocated the formation of a “planetary regime” that would use a “global police force” to enforce totalitarian measures of population control, including forced abortions and mass sterilization programs. In China, the model state of the global elite complete with one-child policy, 13 million fetuses are forcibly aborted each year, often by forced lethal injection. According to China’s own official statistics, at least 35,000 abortions are performed every day, or about one every 2.5 seconds. Fortunately, despite media/information censorship, even the Chinese reject vaccines. Click here for further evidence of the link between vaccinations, birth control, cancer and other diseases. Forty-nine states have philosophical and/or religious belief vaccine exemptions (sorry West Virginia, you need a medical exemption). But more importantly, you and your children have a natural right not to be forcibly injected with anything. Your body is your person and your property; it does not belong to the pharmaceutical companies or the governments/courts they control. Therefore, you also have protection not to be seized and vaccinated with toxins under the Fourth and Fourteenth Amendments. 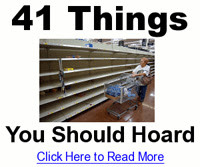 Surprise others by sharing this information with them. Be the first to comment on "11 Big Surprises Inside Vaccines"